BBC Northern Ireland is continuing its tradition of BBC Christmas Preview Screenings in Belfast, and this year there’s something for everyone to enjoy. 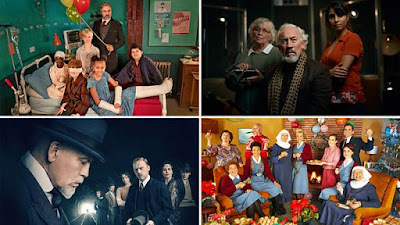 There will be a sneak preview of some of the latest BBC network television dramas, including Call The Midwife Christmas Special, The Midnight Gang, The Dead Room and the first episode of a detective story featuring Hercule Poirot called The A.B.C. Murders. All screenings will take place in Blackstaff Studio A and Broadcasting House in December. For further information and to apply for tickets go to bbc.co.uk/showsandtours. Tickets will be restricted to two per applicant and. Admission to all events will be on a first come, first served basis. The Dead Room is a ghostly tale in a long-established Christmas tradition and the screening will take place in BBC Broadcasting House’s suitably spooky Studio 1. The screening will be introduced by film critic Mike Catto who will help to set the scene for what follows - and try his best to settle everyone’s nerves as the house lights dim and Mark Gatiss’ new ghost story begins! The Dead Room was set and filmed in the BBC’s historic Maida Vale studios. It was used by the BBC from the 1930s until 2018 and was the regular location for many music and radio broadcasts. Mark Gatiss’ film has been produced by Can Do productions for BBC Four and also stars Anjli Mohindra, Susan Penhaligon and Joshua Oakes-Rogers. Limited capacity in Studio 1 means ticket allocation will be restricted to two per applicant. Tickets and venue admission for this event will be on a first come, first served basis. Call The Midwife Christmas Specials are hugely popular with BBC audiences in Belfast. It’s a proper festive treat and allows us to catch up with all that’s been happening at Nonnatus House. There are familiar faces and some new characters, including Miriam Margolyes as Sister Mildred, who arrives with four young orphan refugees. As Poplar makes its own preparations for Christmas, Sister Julienne has some decisions to make, Trixie returns from Portofino and Valerie leads the baby ballet performance. Expect laughter, tears and the usual brilliant storytelling - all of which anticipates a brand new series of Call the Midwife in 2019. Call the Midwife is produced by Neal Street Productions for BBC network television. Tickets will be restricted to two per applicant and allocated by random draw. Admission to these events will be on a first come, first served basis. The ABC Murders is the latest Agatha Christie detective story to be adapted for BBC television. It features Hercule Poirot (played by John Malkovich) and his pursuit of a serial killer whose crimes take place at locations across the country with a railway guide being left beside each victim. 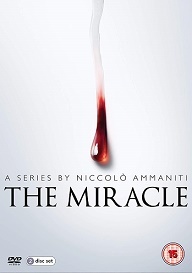 It’s a tense and thrilling story and reflects Agatha Christie’s genius for plot and puzzle. 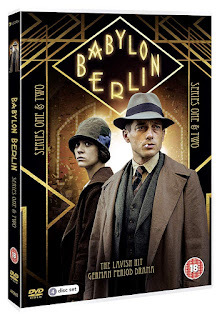 It also provides an early and testing challenge in the career our favourite Belgian detective and conveys a vivid sense of English life in the mid-1930s. The ABC Murders has been adapted for BBC television by Sarah Phelps and features a stellar cast including Rupert Grint as Inspector Crome (who doesn’t have a particularly high opinion of Poirot) and Tara Fitzgerald as Lady Clarke. There will be a screening of episode one of this three-part series, allowing some extra sleuthing time before the identity of the mystery killer is revealed on television. It’s an opportunity to enjoy this programme in a cinema-style setting in the company of other murder mystery enthusiasts. The ABC Murders has been produced by Mammoth Screen for BBC network television. The Midnight Gang is one for a younger audience. It’s the much anticipated television adaptation of David Walliams’ 2016 novel about a group of children who leave their hospital ward each evening in search of magical night-time adventure. It’s a fast-paced story about friendship, dreams that come true and what happens when Big Ben chimes midnight and everyone else is fast asleep. The Midnight Gang has all the page-turning drama and excitement of David Walliams’ original book. It is also great fun. David Williams makes a cameo appearance as the headmaster, and he’s joined by Alan Davies as a porter whose real name nobody seems to know, and Haydn Gwynne as the Matron who doesn’t like children at all. The Midnight Gang is about secrets shared, challenges overcome and putting your friends first. 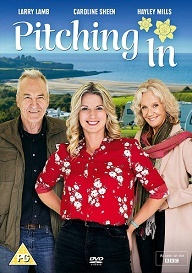 It promises to be a family viewing highlight of the Christmas television schedules and we’re delighted that it’s also Stephen Nolan’s Book Club Choice for December (in association with Libraries NI). This means that extra copies will be available in your local library and that you can hear all about it on his weekday programme on BBC Radio Ulster. Those coming to the screening are encouraged to bring a copy of the book with them for big Studio A selfie.